Our Student Spotlight features a student who has truly set an example for how to make the most of a co-op. Olivia Fitzpatrick, a 4th year Commerce student majoring in Marketing Management, has recently accepted an offer for full-time employment with her former co-op employer, Dash Hudson, a local company that focuses on helping businesses grow their brand through Instagram. Olivia is from Bedford, Nova Scotia, and was drawn to Dalhousie and the Commerce program because of the opportunities available to gain real-world experience before graduation through work-integrated learning and experiential learning opportunities. 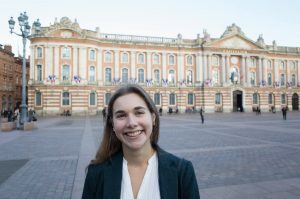 She has achieved this by not only completing the three required co-op work terms, but also by opting to spend a semester studying abroad in France in her third year and by participating in the Rowe School of Business’ Israel Exchange this past year. On top of that, she is also a heavily involved member of the Dalhousie Community. After spending her first co-op work term at an accounting firm, Olivia realized that marketing might be a better fit for her. When it came time to begin her second work term job search, she knew that she wanted to try something completely different. At the time, Dash Hudson was still in the start-up phase of its operation. She found the prospect of working for a growing business to be very appealing, especially with the added responsibility that it would involve. On her second and final co-op with Dash Hudson she was able to gain a lot of hands-on experience and a greater understanding of their customer process. 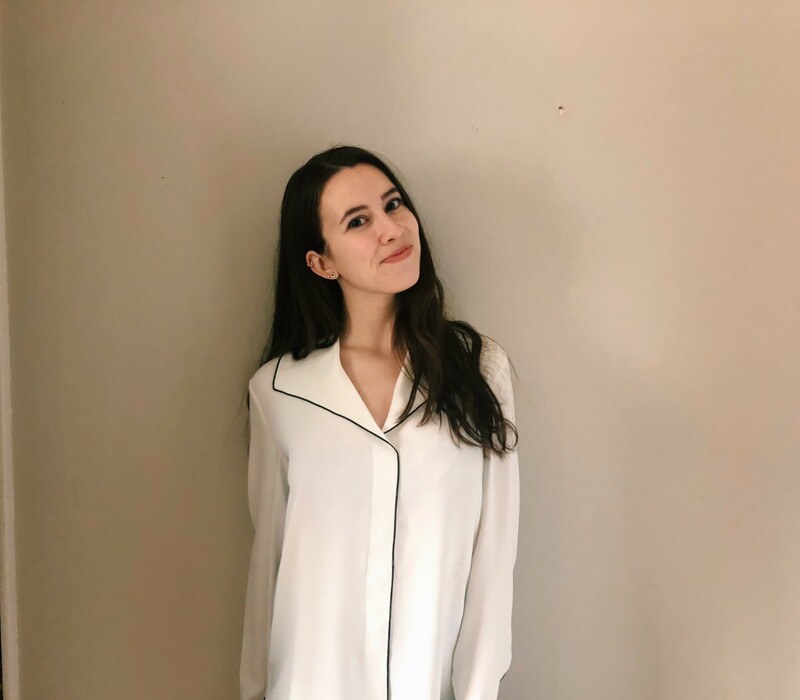 Olivia didn’t approach her final co-op with the intention of securing post-grad employment, but rather she focused her efforts on learning as much as she could in her new role and also on better realizing her own strengths and weaknesses. While her post-grad plans were unclear at the end of last summer when she wrapped-up her work term, it was ultimately her proven dedication to her work, and to the organization, along with the strong relationships she had built with the team’s senior leadership, that would open the door to creating a self-developed full-time opportunity. Olivia’s new role will allow her to draw on and apply the skills and experience she earned over her two work terms with the organization. While her new role will come with a significant amount of responsibility compared to her co-op experience, Olivia feels confident in her ability to fulfill the role. Although it clearly took an abundance of different attributes and skills to accomplish everything that she has thus far, Olivia has identified the key trait that has defined her success – hard work. Are you looking to take control of your grad job search and optimize the outcomes? Check out the variety of full-time and grad job opportunities posted under the Career Services section of myCareer and book an appointment with your Career and Recruitment Specialist to receive one-on-one advice and support. 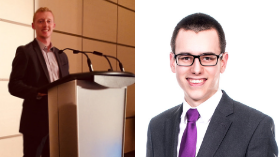 Our Student Spotlight this week highlights a local student who has had success with Venture for Canada’s Atlantic Internship Program. Jason Watts, a second-year Commerce student majoring in Marketing, has spent his first co-op term this winter with Black Star Wealth Partners as a Marketing Assistant in Halifax. Jason and his family moved from India to Cole Harbour, Nova Scotia when he was only 4 years old and it has been his home ever since. Choosing to go to school at Dalhousie was an easy decision for him to make since his mother worked for the university. He found himself drawn to the Commerce program in particular because of the three co-op terms, expecting that they will help him become more employable upon graduation. He is also a proud member of the Dalhousie Football Club, having played a key role in their undefeated championship season this year as a veteran on the roster. Last fall, during the job search for his first work term, Jason found himself in a bit of a panic to secure employment. He decided to leverage his personal network by speaking with a well-connected professional with whom he had a good relationship. His contact reached out an employer who happened to have secured Venture for Canada funding and created a myCareer job posting for the upcoming co-op term. As a result of his contact’s recommendation, Jason was fast-tracked to the interview stage of the hiring process with Black Star Wealth Partners. Fortunately, the interview turned into a job offer, which turned out to be a perfect fit. Jason soon realized that he made the right decision, quickly discovering that working for a small business comes with numerous perks that larger companies may not offer. The Venture for Canada Atlantic Internship Program includes a training conference that participants have the option of attending. The purpose of the conference is to provide students with advice on how to succeed in the workplace and make the most of their co-op experience. Jason was keen to take advantage of this, finding as much value in the networking aspect of the conference as he did in the presentation aspect. If the Venture for Canada Atlantic Internship Program sounds like something you might be interested in, we encourage you to visit their website. Or if you’re a second-year Commerce student like Jason, you can talk with them in person at our Commerce Summer Social on May 8th in the Rowe atrium. The deadline to apply for their September 2019 program start is right around the corner on July 22, so don’t wait! This week, we are celebrating the accomplishments of a student society from the Rowe School of Business that has just been named Dalhousie’s Most Impactful General or Special Interest Society, receiving their award at the Dalhousie Impact Awards last Thursday. Since its inception in 2015, the Rowe Women in Business Association (WIBA) has grown its membership and strengthened its programming and initiatives by leaps and bounds. It empowers women to be leaders in the workforce by providing networking events, leadership skill development opportunities, workshops, and an annual conference. 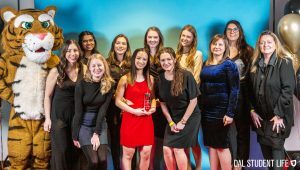 The dedication and commitment of the society’s executive resulted in a series of successful events this academic year that included social activities, charitable fundraisers, student outreach and support, networking with community partners and employer stakeholders, and collaborative initiatives with other societies. Without a doubt 2018/2019 has been WIBA’s most ambitious and most successful year to date. 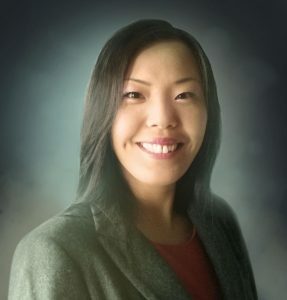 To get some insider knowledge on WIBA and what it took to earn this award, we caught up with the President of the society, Rosalyn Huynh. Rosalyn is a 4th year BComm student majoring in Accounting and has been involved in WIBA for her entire undergraduate degree. She has thoroughly enjoyed her time with WIBA, especially this year as she fulfilled the role of President. As successful as this year has been for Rosalyn and her team, it certainly hasn’t come without its challenges. And of course, the shining achievement, their annual conference, which was held on Jan. 18-19 on campus. The event attracted over 100 delegates, which represents a 69% increase over 2018 and enabled them to generate enough revenue to help fund next year’s conference. Students from other universities including Acadia University, Saint Mary’s University, Cape Breton University, and University of British Columbia were in attendance. As a society, Rowe WIBA has worked hard to embody the values of our Faculty (integrity, inclusion, collaboration, experience, and sustainability) and helped to create a better student experience here at Dalhousie. There is no doubt that the student leaders in charge of WIBA this year will become the alumni, professionals, and community members that we will be proud of for years to come. Congratulations to WIBA on winning the Most Impactful General or Special Interest Society Award. If you’re curious to learn more, or want to get involved, we encourage you to visit their Facebook page. A recent graduate of Dalhousie’s Bachelor of Commerce Co-op program, Molly Marcott, shares what it was like to compete in the in the #HireMeHalifax pitch competition and explains why current students and fellow recent grads should challenge themselves to participate in it this year. Students who enter the #HireMeHalifax pitch competition are asked to submit a 30-second video pitch by Monday, March 4, on why Halifax employers should hire them. A panel of business leaders will select the top ten finalists to deliver their pitch live at an exclusive networking event attended by 100+ Halifax employers. Everyone who submits a pitch gets to attend the networking event, and three winners will be awarded cash prizes. In previous years, many participants have landed interviews and some were even hired as a result of connections made at this event! Motivated by the desire to secure a full-time opportunity in Nova Scotia, and seeing the competition as a way to generate job prospects, Molly submitted a pitch to last year’s competition and couldn’t believe it when she advanced to the final round. Looking back on this unique experience, Molly believes that participating in the competition benefitted her in multiple ways. “The most valuable skill I gained through #HireMeHalifax was confidence! It can be very difficult to step out of your comfort zone and participate in something like this, but it is absolutely worth it. The self-reflection involved in creating the pitch alone is so valuable – it helped me create a clear picture in my mind of the career I wanted. By going through the process of creating a pitch, you will have an answer ready the next time an interviewer asks “Why should we hire you?” And who knows, maybe you will land your dream job! 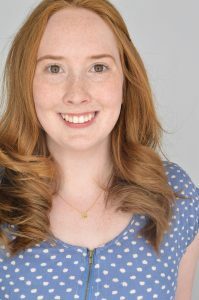 Having majored in Marketing Management, Molly’s first work term took her to Ottawa where she worked as an Operational Engagement Assistant with the Government of Canada, which was followed by a work term as an Account Coordinator at Halifax advertising agency Chester & Company. Molly completed her final co-op at Thinkwell Shift, a resource conservation company based in Halifax. This experience, combined with the sense of career clarity that was sparked by her #HireMeHalifax pitch, helped solidify her goal of working with the organization after she graduated. Although only having graduated in 2018, she is already in a role that affords her the chance to come full circle from her time as a co-op student by recruiting students from Dal’s BComm program. Molly Scott and Adam Anshan are both alumni of the Rowe School of Business – Molly graduated in 2015 from the BComm program and Adam graduated in the same year from the BMgmt program. 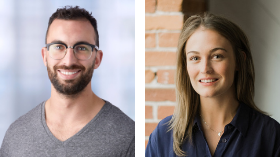 Molly and Adam are being featured in this week’s Student Spotlight because of their involvement with the Venture for Canada Fellowship Program, a program that aims to foster entrepreneurship opportunities for recent graduates in Canada. We caught up with them to hear about their experience in the program and ask a few questions on behalf of graduating students who might be interested in applying to the program for themselves. What attracted you to the Fellowship program? How did your experience in the program unfold? How has VFC’s Fellowship Program benefitted your career? What advice do you have for students thinking of working in the start-up/entrepreneurial landscape? To learn more about the Venture for Canada Fellowship Program, visit their website at https://www.ventureforcanada.ca/applyfellowship/. For those looking to apply now, the application deadline is February 18th. The posting can be found in myCareer, job ID #80137. And for students embarking on a work term this summer, explore the option of pursuing an Entrepreneurial Work Term by attending our Info Session next Tuesday, January 29th. Learn more and register to attend via the myCareer Events Calendar. Andre Brideau and Kevin Vigneau are both 4th year Bachelor of Commerce students majoring in accounting and finance, respectively. On top of being active members of their communities, Andre through his efforts with the local basketball league and Kevin through his role with the Dalhousie Investment Society (DALIS), they have proven themselves as active networkers and keen participants in the co-op program. Andre and Kevin were part of the group of Dalhousie students that attended the first Nova Scotia Co-op Summit, which will be held again this year on March 8th. 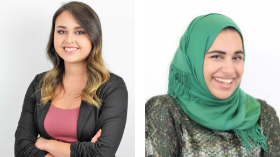 The Summit is an incredible opportunity for post-secondary students in Nova Scotia to connect with potential employers, learn how to network and pitch themselves, and receive advice from alumni on workplace success. For both Kevin and Andre, the most valuable outcomes from the event were the connections they made during the networking periods of the event. 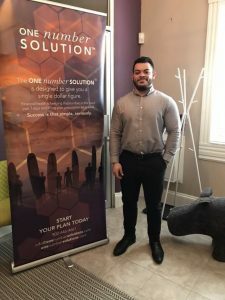 In Andre’s case, that meant being able to meet and ask questions with a recruiter from the Chartered Professional Accountants Atlantic School of Business. In his words, “this allowed me to gain insight specific to the program, such as pre-requisites, scheduling, and benefits of the designation.” Ultimately, it helped him decide that becoming a CPA was the right choice for him. Kevin was impressed by the “interesting speakers and recruiters” who attended the event, and suggests that “not every conversation you have will get you a job but every conversation you have will make you better prepared to land one”. They also appreciated the opportunity to learn how to better market themselves and improve their communication with employers through the event’s Alumni Panel, which included former Dalhousie Students. After attending for their first time, they both left with an abundance of advice and tips. “The Summit also teaches co-op students how to contribute to the workplace by bringing their new and fresh ideas to reality,” Andre noted. Thanks to his time with Grand Thornton LLP over the past three co-op work terms, Andre has decided to accept their offer to join them as a full-time employee next fall. During this time, he will also complete his CPA designation with the firm, allowing him to fulfill his goal of becoming a public accountant in Nova Scotia. Having had a busy fall, which included presenting at the Institute of Advanced Financial Planners’ (IAFP) annual symposium in September (alongside Dal teammates Jessie Rankin and Tatum Freigan), and representing Dal (alongside fellow BComm student Madison Lantz) on a student panel at the Campus Recruiting Forum in December, Kevin is looking forward to his 3rd and final work term this summer and is feeling more confident than ever, thanks to his experience at the Summit. Registration for the Summit on the myCareer Events Calendar is now full, but students are invited to add their name to the waiting list. 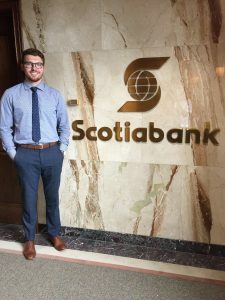 Douglas Bowerman is a 4th-year Bachelor of Management student who is completing his 8-month internship with Scotiabank as a Marketing and Customer Engagement Analyst. 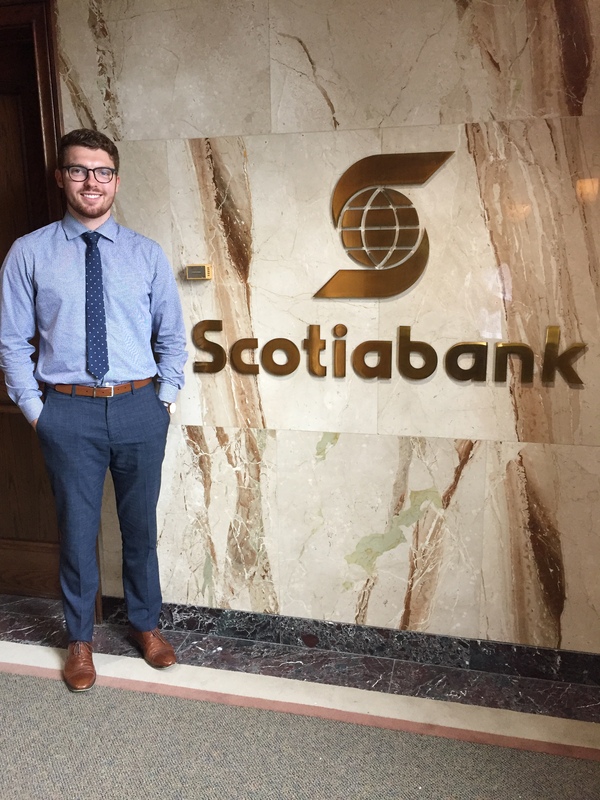 Through hard work and networking, Douglas was the 1st BMgmt Internship student to self-develop an internship opportunity with Scotiabank, although the bank recruits many Commerce & CRMBA students for work terms. If you’re interested to learn what it can be like to develop your own job opportunity, take inspiration from Douglas who seized an opportunity to make a meaningful connection and saw it pay off in big ways. Douglas says that he was interested in the Internship Program from the beginning of his first year at Dalhousie; recognizing the importance of obtaining work experience while completing his undergraduate degree. Dedicating an appropriate amount of time to his job search, while keeping up with the demands of a rigorous course load proved to be one of the biggest challenges he faced while searching for an internship. He was also set on staying in Halifax and wanted to do his internship with a large organization. It was through the 2017 Ethics in Action Case Competition in his third year that Douglas found the opportunity he had been looking for. His team placed 3rd overall and during the gala dinner, he had the unique opportunity to network with Scotiabank executives. Through those conversations, he was encouraged to follow up about a job opportunity at the Atlantic Regional Office. Through his internship with Scotiabank Douglas has had the opportunity to be involved with various marketing initiatives. He played an important role in coordinating the Maritime NHL’ers for Kids event in Digby, NS this past summer. Maritime NHL’ers for Kids is a celebrity golf tournament that raises money for families involved in youth hockey programs across the Maritimes. He was tasked with designing Scotiabank-branded socks to provide as part of the participants’ gifts. Douglas says that his team “received great feedback, and the socks were a huge success”. He was also presented with the opportunity to partake in the United Way Campaign Associate program as a Scotiabank representative. The leadership of his supervisor and the executive team has made his internship a great learning experience because of the focus they put on their employees and on creating an environment that allows them to experience different roles and ultimately thrive personally and professionally. Douglas says that his advice for students looking to create a self-developed job opportunity is to never underestimate the power of networking. If you want to learn more about the Bachelor of Management Internship program and how you can apply, register to attend our Information Session on Tuesday, January 15th via myCareer.